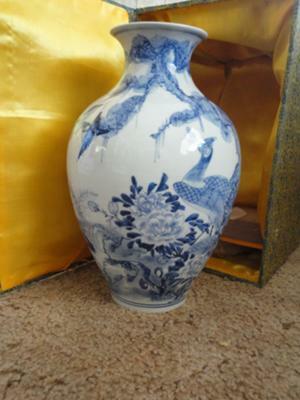 Here also, the vase is pretty new. 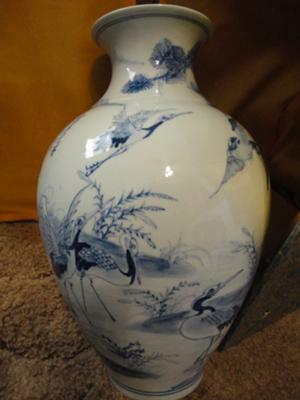 If you are sold this as an antique I have to tell you it is a fake, and easily detected from the writing alone, but the glaze looks new to me. 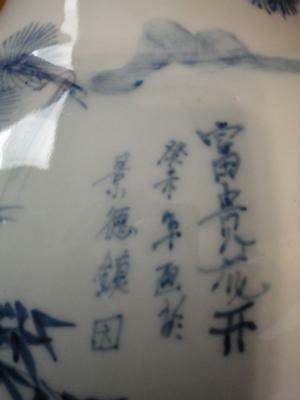 The writer of the text made the mistake of mixing simplified characters (used in China only after the fifties) with traditional characters, very obvious. 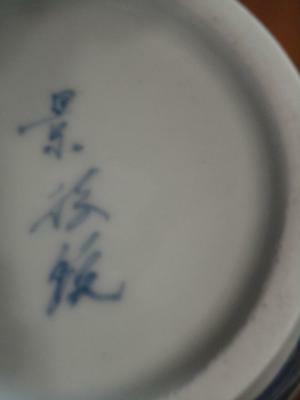 Jingdezhen is named, but this is unusual too, except in modern items.